I must say that I really liked the main character, Riley, even though she came off as a bit one-dimensional and somewhat unbelievable to me. But I got SO tired of listening to her whine through the entire book. Granted, she had every reason to do so: her mom dies, then she gets dragged away from her one and only friend, and shipped off across the country to live with a rather odd dad whom she hasn’t seen in years. I’d be crying and whining the entire time too! But it got real old real fast having to listen to (read about) it constantly. And the fact that there was very little to no other action occurring in the book certainly didn’t help. I felt as trapped in this story as the people she meets feel trapped in the isolated little town she moves to with her father. Most other reviews I’ve read talk about the astonishing twist near the end; which I did find interesting, but actually wasn’t all that surprised by. Maybe just because I’ve seen and read quite a bit about mental health issues, I started wondering about certain things quite early on. But there were explanations that could be made for many of the things Riley encountered, so things could have gone either way. And it was pretty much a fairy tale ultimate ending; with things seeming to work out almost too well in the end. Having worked in foster care, it seemed almost unbelievable how smoothly everything went. Although it was nice to see Riley finally somewhat happy! Overall, it was not a bad read at all, but I just couldn’t past the incessant whining! I received an electronic copy of this book free from the author and Choosy Bookworm in exchange for an honest review. As a Hunger Games fan, the YA dystopian aspect of this novel enticed me. But since I am definitely not a runner, I did not expect to find it more than mildly amusing. I am happy to admit how wrong I was! 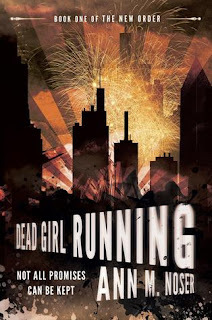 The author’s style was incredible, drawing you into the story from the very beginning, and forcing on the reader an emotional connection with the characters. I absolutely adored Silva! But then I generally do admire strong female protagonists (à la Katniss). It is only as the story progresses and we learn more about her that we come to realize just how amazingly tough Silva really is. Gus was another clever personality who I really enjoyed getting to know. I was a bit confused by the entire fireworks scene; at first I thought they were trying to blow up the incinerator or something. And I was also somewhat thrown by the entire episode with Edwina. Other than exposing just how important it was that Gus keep his job and showcasing his inordinate skill at gaming the system, the entire incident seemed nothing more than a brief, unnecessary distraction from the real plots that were unfolding. I totally loved Franco! He was perhaps the most intriguing character of the entire book because we learn so little about him as the story progresses, and don’t really come to know him at all until he is basically out of the picture. His feelings for Silva are so obvious to everyone but her, which makes them seem even more profound. Their all-too-brief interlude of shared emotions is far too short, and made me want to see more of them together; especially when the very last scene begins to unfold and we learn the extent of Franco’s feelings for Silva. I did find it hard to believe, however, that he would let her go off alone, to go home and be captured by the bad guys so easily. I even came to like Liam. Once a true friendship developed between him and Silva, he became much more of a real person and not just a cliché. His reaction at the race celebration, while perfectly ordinary for the person we originally meet, seemed very much out of character for the individual that he had come to be. I had, at least by the end, guessed at the motivations behind all of the pregnancy tests; I clearly figured it out before Silva did anyway. But I was truly taken by surprise by the reasons for it, not to mention the connection to the red-haired girl. That Silva ran into her as the story begins becomes very auspicious. I was completely astonished by what becomes of Liam. Even seeing the old geezer hacking away on television, I did not see that one coming. It was pretty apparent early on that Gus was hiding something, and Franco as well; although I hadn’t quite figured out how they fit together. Nor did I anticipate the info we discover about Silva’s father. Basically, the author was just full of unexpected plot twists and entertaining surprises. I was so happy to hear that this is the first of a series, not just a stand-alone book. Because although there were so many questions answered by the end, there were still so many left unanswered; not to mention the fact that the action just did not seem in any way complete! I definitely recommend this book, and I personally can’t wait for the sequel! I received an eBook copy of this book free from Curiosity Quills Press in exchange for my honest review. This was a rather odd tale. The world the author creates is very different from our modern one. Several little things highlight this, from descriptions of their surroundings and living arrangements (including a family bed! ), to tales of fantastic beasts and magic creatures. Some of the dialogue seems forced and false, probably a result of trying to create a dialect similar enough to ours to be understood and different enough to be distinctive. Most of the characters are very believable and quite affable. The main character, Emma, is an amazing child, mature beyond her years, and incredibly brave. In fact, it is she who defeats the Banderwigh, not just once but twice, and even actually saves the man he was, although it does little good in the end. The hardest part for me to believe was that Emma was so oblivious, prior to the events of the book, to the fact that her mother and grandmother were apparently some type of Druid priestesses, dispensing justice and assistance as they saw fit to humans and non-humans alike. Even for someone who admittedly was a non-believer prior to this, missing the fact that your mother returns home from a walk in the woods with green blood on her staff from mythical creatures that she’s been clubbing and that your grandmother often has feathers flying around her from her shape-shifting forays as a raven is rather hard to believe. Some large sections of the story just seemed to go back and forth between nothing, with scenes written just for the sake of writing them and adding to the word count, rather than actually advancing the plot. Those portions I found boring and more than a tad annoying. Overall, however, the story was good, definitely unique, and I appreciated the relatively happy and yet realistic ending for the main characters. 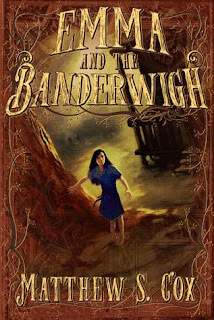 A book that I would recommend for a fanciful read, if you can make it through the slow parts. I received a copy of this book free from Curiosity Quills Press in exchange for my honest review. Despite the fact that there were several things about this novel that I found highly annoying, it was quite a good story with some rather endearing primary characters. You feel almost immediate sympathy for Zagarat, who is quite obviously a good person who is not only stuck in a rut of a life, but also faced with a difficult decision in regards to his mother. Fletcher is more of an anomaly; you’re never seem quite sure of who or what he is, or what his motivations are. Not to mention Aurora May, and certainly Devon; we know even less about either of them, but they both seem such intriguing characters. 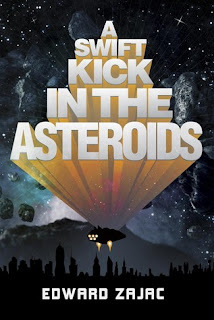 The author inserts a LOT of world-building, atmosphere-setting, back-story that generally has nothing to do with the story, most of which is just annoying, repetitive drivel. That got real annoying - real fast! Some of it was initiated by Zag and actually helped to somewhat establish his character as an annoying, easily distracted dweeb. But much of it was narrator initiated, and mostly just served to distract from the story and bog down the plot. The cliché angel and devil on Zag’s shoulders were extremely annoying as well. Not to mention how often an expletive of “by the suns” or some such was used. And there were quite a few instances where things just didn’t seem to jive with prior aspects of the narrative. The story seemed to take a long, drawn out, indirect, almost boring route as we waited for more of it to unfold. And then it just wrapped up extremely quickly. Zag wasn’t the only one left feeling in a bit of a funk at the end. But despite all of the things that I didn’t like about the book… I still wanted more! I want to know what happens to the characters and see them in action again! I definitely hope there is a sequel in the works. The story itself, underneath all of the extraneous annoying stuff was really quite good, and I would definitely recommend this book, as long as you have the patience to wade through a bunch of unrelated rambling. I received a Kindle copy of this book free from Curiosity Quills Press in exchange for an honest review. This was a really good story with many of the elements that make a tale great: powerful characters you grow to care about, mysteries and intrigue, action, intellectual pursuits, romance. I especially like the strong female lead character of Chelsea. Even though she was often afraid, admittedly didn’t know what to do, and often over-reacted emotionally, she still forged ahead, did the best job she could do and tried to do what she felt was right. The male lead, on the other hand, was not as endearing; mostly, Trevor was just annoying. His inability to make a choice about anything or to do something productive probably led to or at least exasperated some of the bad spots they got themselves into. Personally, I did not like how the narrative switched from the male protagonist to the female protagonist every other chapter. While I know that is a popular method of late, and it can be helpful to give insight to what both characters are thinking and how things appear from their perspective, I still found it rather confusing. Not to mention that the chapter would often end on what seemed like a significant moment, but then the next chapter would start up with something entirely different, frequently with no resolution of the prior situation. I found it interesting how many times the author was able to weave the word gyre into the narrative, especially without it looking forced or overdone, and also while utilizing the various definitions of it in different settings. I thought this was a nice way to tie-in the title without breaking the fourth wall, and to remind the reader about this theme that seems to be underlying just about everything in the story. The use of Atlantis as having been a real place and the discovery of apparent proof of it was very intriguing. I was, however, very confused about who was working for which side in the conflict, how many factions there were in each group, and what were everyone’s objectives and motivations. Hopefully that will be made more clear in future titles; since the story pretty much ends on a cliff-hanger, I’m fairly certain there will be at least one more book in the series! I can't wait to read it! I received a free eBook of Gyre from Curiosity Quills in exchange for an honest review. What a great idea for a book! 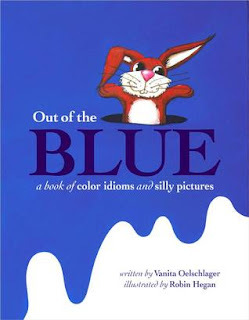 I had no idea there were so many color related idioms in the English language. Many of them are so integral a part of life here in the USA that we don’t even think of them. As the author points out in her Afterwards, there is no way to understand these figures of speech without being told what they are. A literal translation of the words themselves give you no indicate of what the phrase actually means. As the mother of a child with autism who takes everything literally, and as the wife of someone who is not a native English speaker, I am constantly reminded of how difficult idioms can be to understand. This book takes a playful approach to them by showing what people probably think of when they consider just the words of these figures of speech. The drawings are bright, fun and clear, but not so complicated as to be distracting. I love that each page also tells you the intended meaning of the idiom, along with an example of it in a sentence. These explanations are in a bottom corner of the page and up-side-down so as not to divert attention from the main photo and text. I understand that the author has other books along this same line, i.e. idioms and silly pictures, which I will now have to seek out and read as well! I received a digital copy of this book free from NetGalley in exchange for an honest review. This is now the third book of the What Mental Disorder series that I have read. (The other two being about Borderline Personality Disorder and PTSD.) And once again I was quite impressed with it. 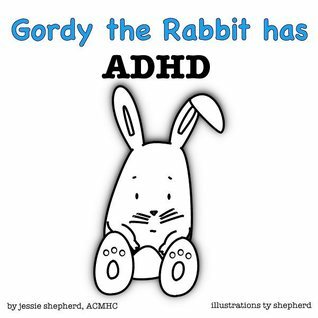 I really like the genuinely unique use of minimalist drawings of the main character (in this case a rabbit named Gordy) with somewhat altered real photographs as background. That made the situations seem quite true to life, but focused your attention more on the character rather than his surroundings. I am especially impressed with how these books addressed many of the problematic issues related to ADHD, but also the strengths this disorder can give to people. So many books about such conditions focus only on the negative aspects. While geared toward children, it can also serve as a good basic introduction for adults to this complicated condition. The book provided a lot of factual information in small, easy to understand segments. I especially like the “Best way to interact with someone with ADHD” suggestions at the end. I definitely recommend this book, especially for anyone looking to find a clear and concise way to begin learning about this disorder. I hope the author continues this series. I look forward to reading and learning more about other such mental health disorders as well. I was first attracted to this book on behalf of my son because he is very much into anything paranormal these days. But I am very glad that I decided to read it because it ended up being so much more than just a monster story! Really it was the coming of age tale of Skye, a snarky teenage girl with an awful lot of attitude. 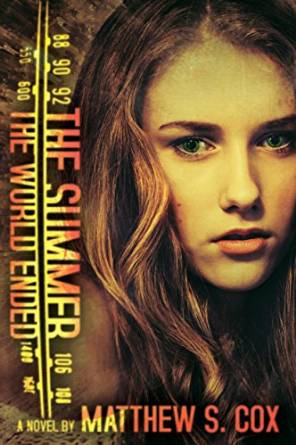 Still, she is dealt a rather bad hand when she is forced to spend the summer, supposedly, with her dad and horrible step-mother (or “step-monster” as Skye calls her); only to discover that instead she’s actually being sent away to summer camp. That she ends up at one full of real monsters is quite ironic. And that many of those monsters end up being more human than the regular people in her life is also quite telling. 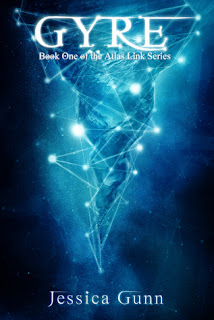 It was a little unbelievable that Skye was so easily willing to accept that there were witches, monsters and other paranormal creatures all around her; when most humans would have been at least a little taken aback, if not outright scared to death. It also seemed a bit unlikely that everyone at camp, as well as the reader, pretty much figure out what her best friend Mia really is except for Skye. However, the general messages of the graphic novel definitely made it a book worth reading. Being true to yourself, standing up for your friends, overcoming obstacles – those were just a few of the lessons to be learned. A great read for anyone looking for a positive, uplifting message, or needing help in finding their true self. The resolution of the story, especially in relation to Mia, did feel very rushed, and I wished it had been explored more. But it was satisfying and totally fit with the overall premise of the situation. I did not care for the style of artwork, finding it very messy and annoying. But it did seem to fit in well with the overall monster theme, especially the limited palette of dark spooky colors. 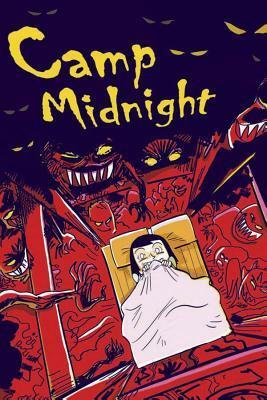 Thanks to NetGalley for providing me a free eBook copy of this graphic novel in exchange for an honest review. 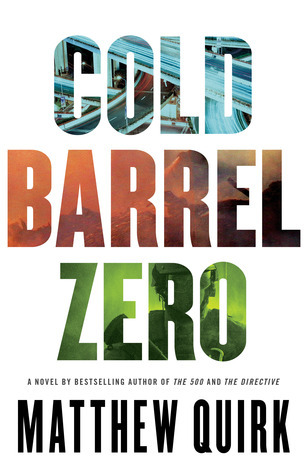 I don’t read many “military thrillers,” but I’m glad I tried this one as I really enjoyed it. There was definitely a lot of action, and those scenes were very well written. They just draw you into the story and almost force you to keep reading. There is a very large cast of original characters - many with nondescript names like Green, Cook, Ward and Hall. This made things very confusing, and oftentimes it was difficult to keep track of who was doing what or even who was on whose side! Many of the players seemed quite interesting, but they were often not fully developed; several were killed off at various points in the narrative and others just disappeared from the storyline. There were a few scenes that just didn’t seem to jive with the action prior to them, especially in some of cliffhanger chapter endings. The one thing that I disliked the most was the switching in perspective from first-person with one of the characters to third-person with everyone else. And the person who received the first-person account didn’t even seem to be the main character, which made it even weirder. Overall though, a very good, entertaining action book with an engaging backstory and intriguing premise. One I will definitely recommend, especially for those who enjoy this genre. I received a free pdf copy of this novel from NetGalley in exchange for an honest review.